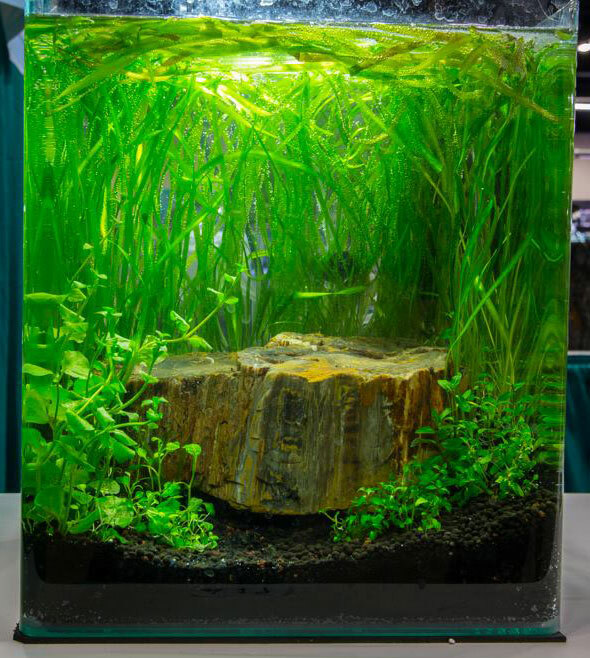 The 2014 Aquascaping Live! 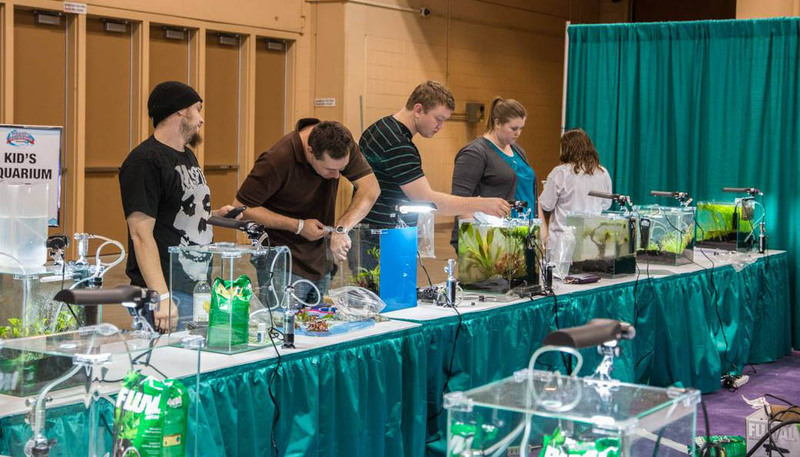 competition was very busy as entrants worked to complete their aquascapes during the show. 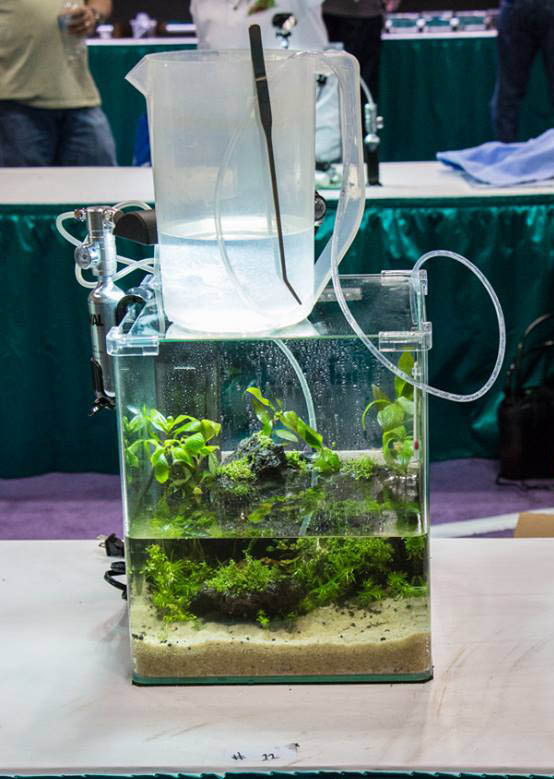 This coming November will mark the return of The Aquatic Experience—an aquarium expo combining every facet of the hobby—to the Chicago area. Now in its third year, this combined trade and hobby show is poised for another successful run with an impressive speaker lineup, dozens of exhibitors, and plenty of events and attractions. 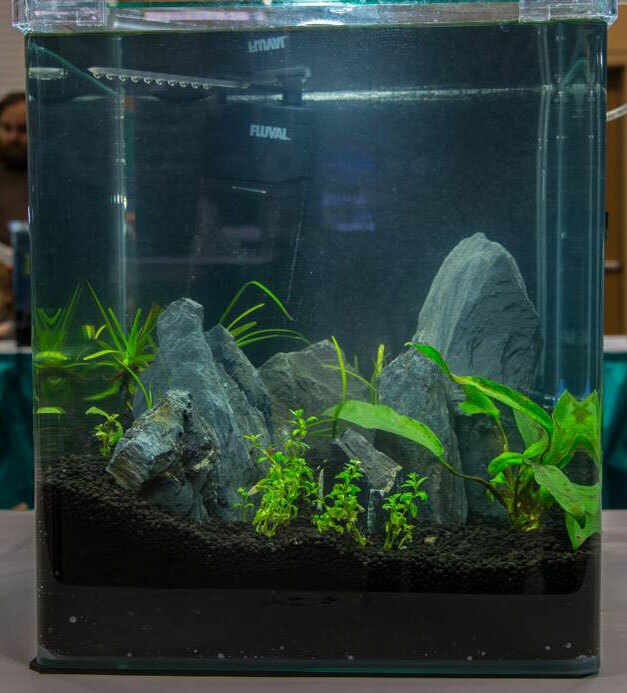 One of the events which debuted at last year’s Aquatic Experience and will be making a strong return next month is the Aquascaping Live! 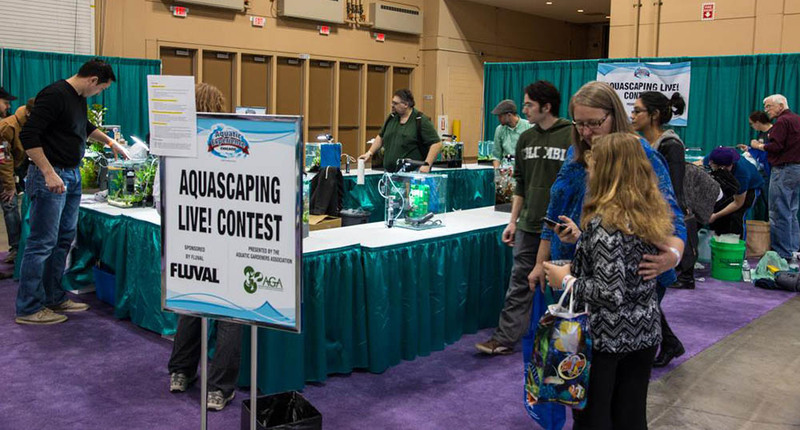 competition, in which dozens of aquarists will compete on the show floor to create a prize-worthy scape. 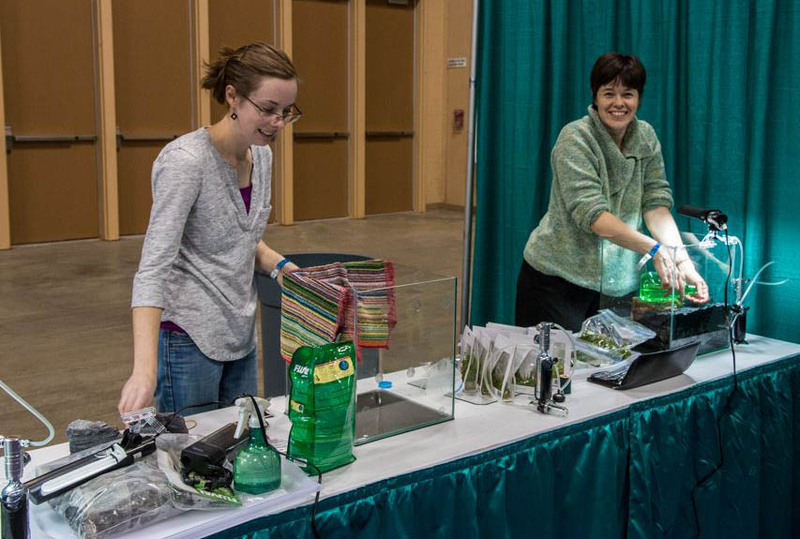 Aquascapers working fast to complete their entries for the 2014 Aquascaping Live! competition. 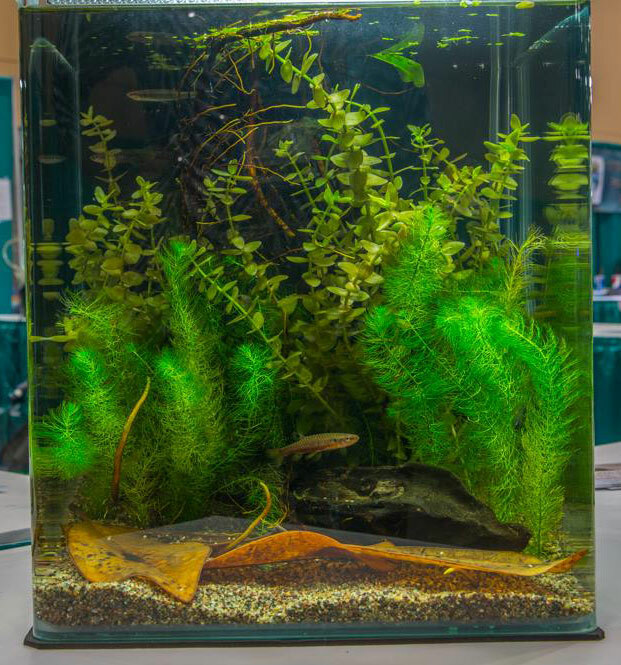 While aquascaping competitions are nothing new (the Aquatic Gardener’s Association’s annual contest being among the best known of these), the unique backdrop provided by a bustling crowd of over 5,000 attendees makes this competition stand out from the rest. 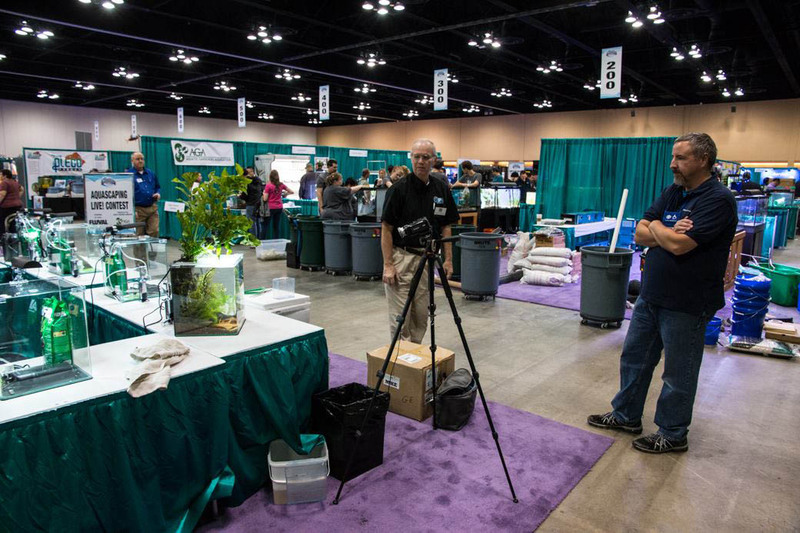 Because attendees of the show come from a wide variety of backgrounds—from seasoned reef aquarists to relative newcomers—they are often not familiar with the increasingly popular art of aquascaping and last year’s competition drew a large crowd. 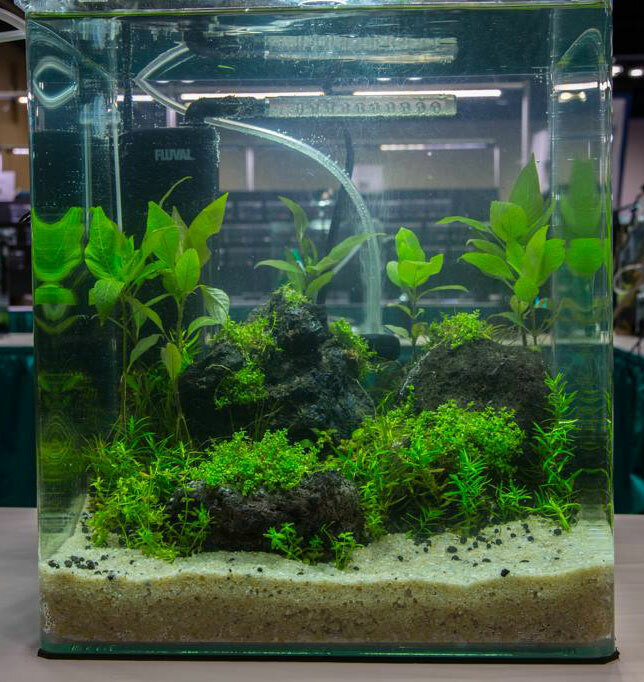 Watching these aquascapes come to life in real time is undoubtedly one of the highlights of the weekend for many and a great way to inspire budding hobbyists to try their hand at planted, aquascaped tanks. Ted Judy (right) steps back from his entry for a different point of view. Clearly, the Aquascaping Live! competition was enjoyed by participants! Randall also mentioned the positive interactions between the aquascapers, hard at work on their respective tanks, and the crowds gathering around to watch the work in progress. “We had AGA members standing around the competition to answer questions from the spectators, and the entrants were generally more than happy to talk to interested attendees even while working on their tanks,” she continued. Taking great care not to disturb the substrate as water is added to the aquarium. 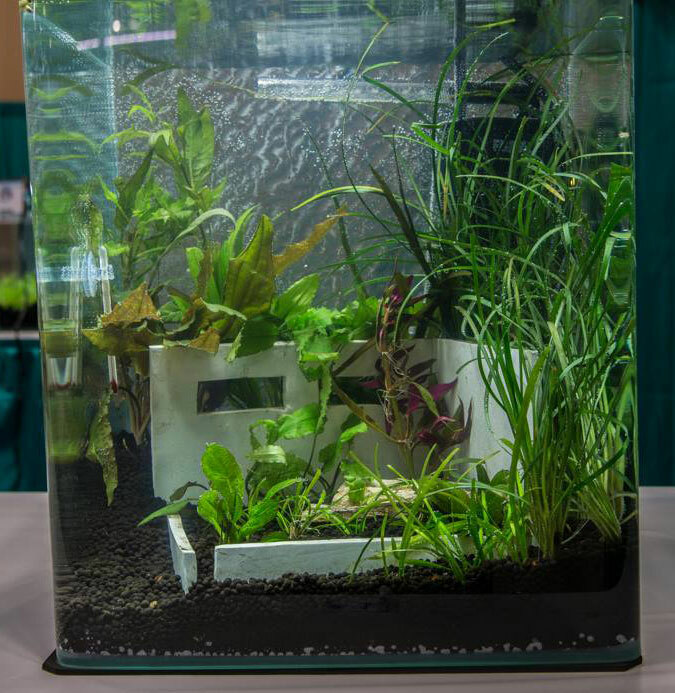 The competition has two tiers—small tanks, where individual contestants are provided with an 8-gallon glass tank to work with, and large tanks, where aquascapers work in teams on a 75-gallon setup. 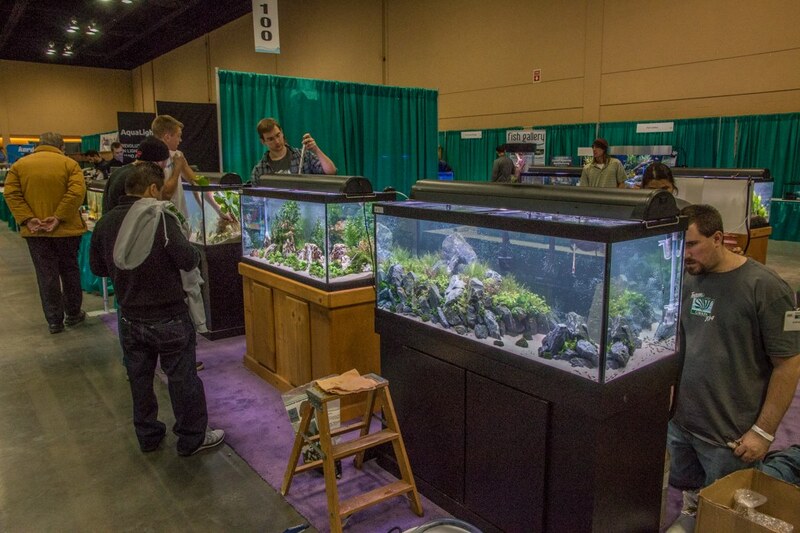 The large tank competition at the 2014 Aquatic Experience – Chicago. More information on the Aquascaping Live! Competition, including registration for entrants, can be found here. 2014’s 1st Place entry in the Large Tank category. Another entry in the Large Tank category, this one featuring a large expanse of open sandy substrate. 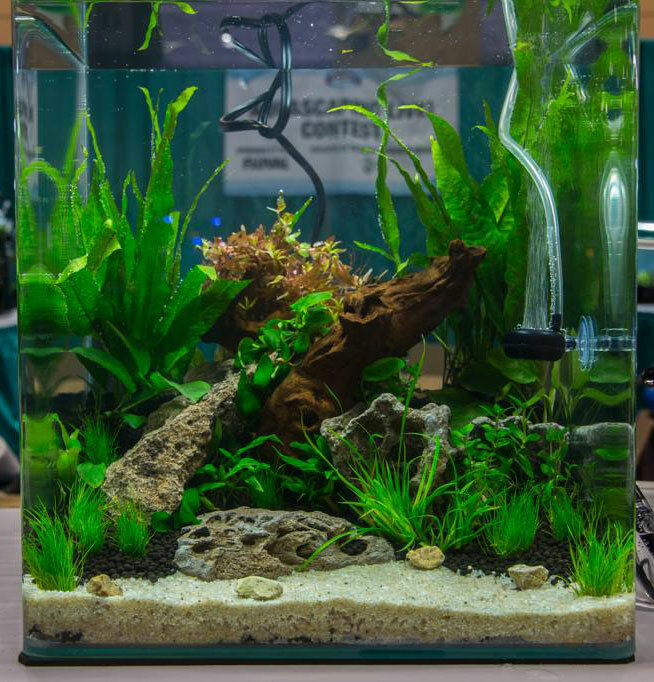 A third entry in the Large Tank category from the 2014 Aquascaping Live! contest. 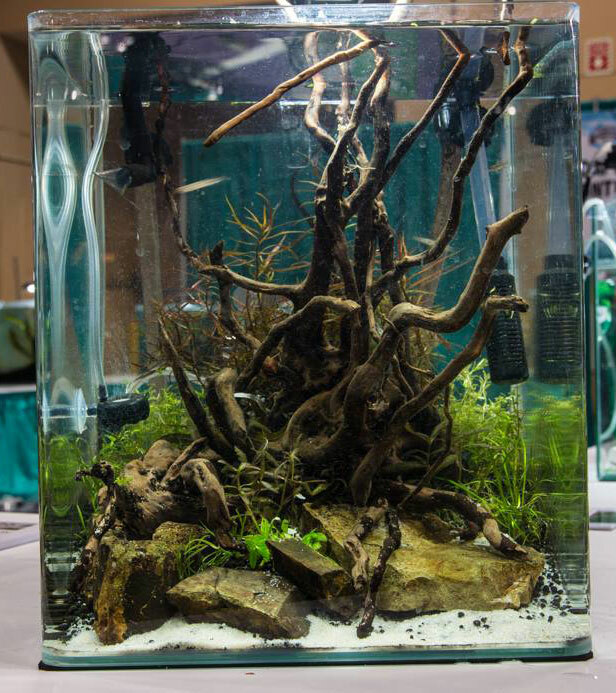 This large tank entry garnered 3rd place in the 2014 Aquascaping Live! competition.